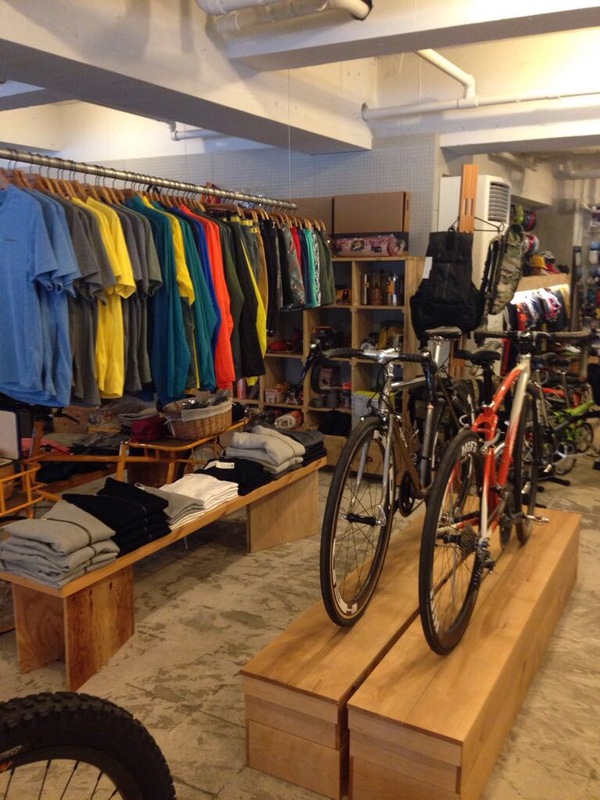 This amazing shop in Hiroshima has everything and more that you might require as a cyclist. It is remarkable because the frames, components, clothing, touring tents and stoves have all been carefully selected. Only the best MSR and Patagonia gear suitable for long distance riding is stocked along with Surly and Jones frames, custom assembled, for differing riding experiences, along with many other types of bicycles. FOG bikes in Iwakuni recommended we go there to get Yasmin’s front brake replaced as the temporary repair was just that – temporary. We ended up having both bikes serviced with new tyres and brake blocks along with the new front break. In New Zealand our bikes clearly took a hammering and the three months riding left the tyres and brakes more worn than the previous 6 months pedalling in Australia, Vietnam and Cambodia. The mechanic laughed as he reviewed how tired our derailleurs had become but they should see us through to the end of June and our riding in Japan.